Cybercriminals are not much different from common thieves and burglars: they also steal personal data, money by using different means. Take some actions in order to protect yourself from fraud and data theft. You don’t give your key from home to the thief, do you? Here you will read about the most popular tricks of malefactors and how to act in such situations. If they ask you to point your personal or financial data in e-mail, at the web-page or in instant message, don’t do that! If you opened the page by link in such message don’t fill in any web-forms at it and do not sign in. In case if somebody asks you to give personal information don’t even try to do this. Very often it is enough for malefactors if you only type the information in the site’s fields without sending it. In case of receiving some strange or unusual message from your friend, be careful, because his account can be broken by fraudster and he tries to steal your information or money. For example, your friend asks for help, because he is abroad without any money, or he lost his phone and you can’t call back him. It also happens that you get a link to some picture, video or post from your friend, but after pressing it you will get to the fishing site. That’s why think before open such links. If you go to the website by the link from suspicious message in chat or mail never enter your password. Even if they offer you to go to a safe resource, for example, of your bank, it is better to enter its URL address by yourself or use bookmarks. Don’t tell anybody your passwords or send them by e-mail. Passwords are the keys to your accounts and Internet services, that’s why you can entrust them only to a reliable person. Official site will never ask you to send a password by e-mail, So if you see such request do not answer it. It is not a good idea to say your password to somebody, even if it is your friend or family member. When a person knows your password he can do something with your account that you don’t like or get any information, which is not for him: read your mail, write messages in social networks or get an access to your bank account. Be careful if they ask you to register. First of all, look at the URL: does it look real? Be sure that it starts from the https:// combination. 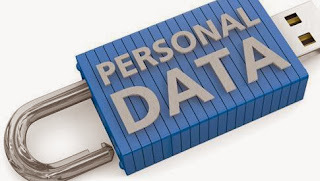 It means that your connection to website is encrypted and it will be more difficult for malefactors to get your data. About the author: Paul Smith has got many fields of interest. He enjoys traveling, sports and of course writing on various topics including business, internet, social media and many others. Paul works for http://classyessaywriter.com/ and can be contacted at Google+.